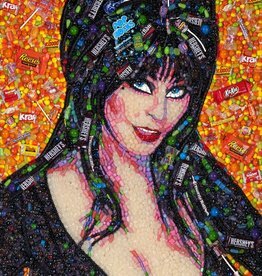 This original Elvira, Mistress of the Dark, portrait by artist Jason Mecier measures 26x38”. It is made entirely of Halloween Candy! 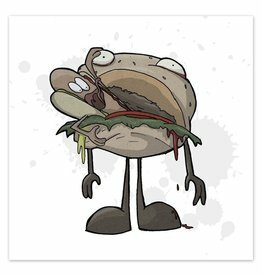 Be sure to get this original masterpiece before it is gone! Please contact us for shipping information. 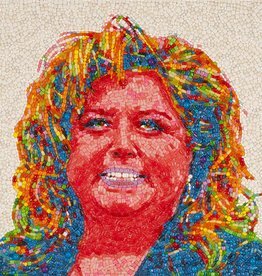 This Abby Lee Miller Portrait measures 36x36". It's made of Mike & Ikes, Hot Tamales, shimmer gumballs, chiclets, sixlets, TicTacs, Jelly Bellys and others! This Amada Bynes Portrait measures 28x28". 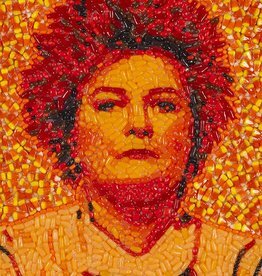 It's made entirely of Sour Patch Kids! 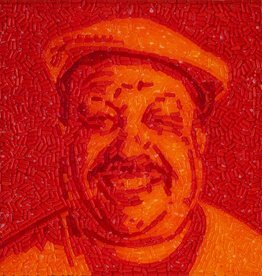 This Chuy Portrait measures 24x24". It's made entirely of Hot Tamales! 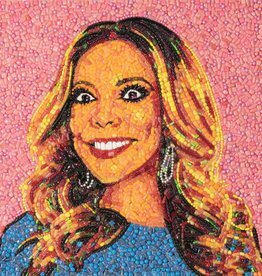 Grab this stunning 30x30 candy portrait of Wendy Williams today! 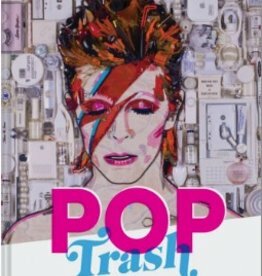 This original portrait by Jason Mecier will be a stunning conversation piece in any room! This Big Ang Portrait measures 36x48". It's made of Good & Plentys, TicTacs, Hot Tamales, Mike & Ikes, gum balls, Chiclets, Sixlets, black licorice, Jelly Belly and others! 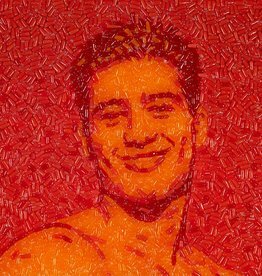 This Mario Lopez portrait measures 24X24" and is made entirely out of Hot Tamales candy! Please contact us for shipping prices. This Orange is the New Black Red Portrait measures 18x24". 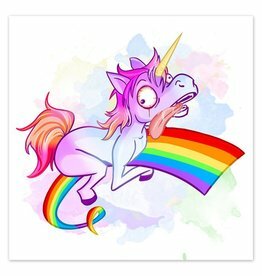 It's made of candy corns, tic tacs, hot tamales, Mike & Ikes, gumballs, chiclets, sixlets, black licorice, jelly bellys & others! As seen on the Today Show! 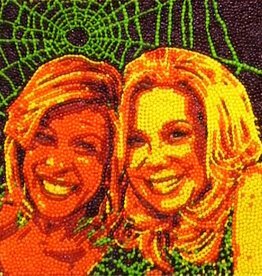 Grab this stunning 36x36 candy portrait of Kathy Lee & Hoda! 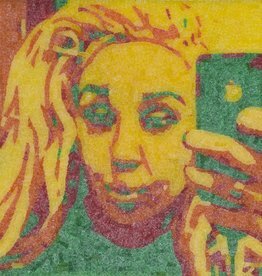 It's made of 5000 Skittles!